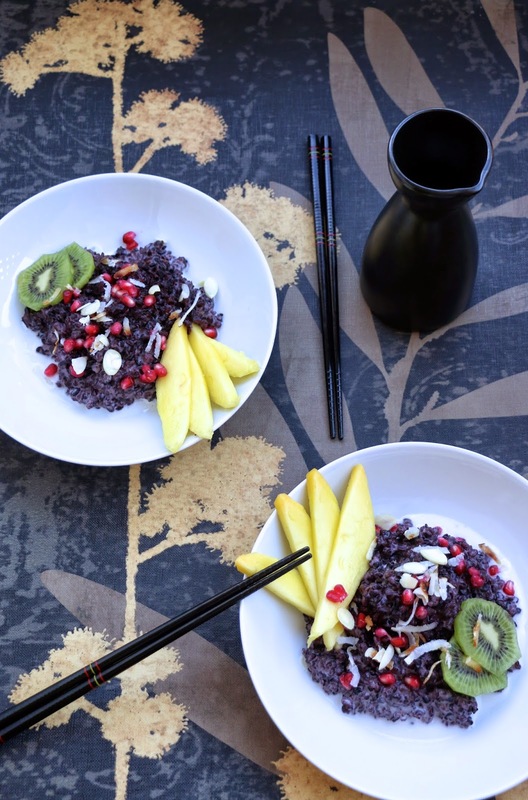 Black rice has become a staple in my cooking. It has many preventative benefits for cancer, diabetes, heart disease & heart attacks. 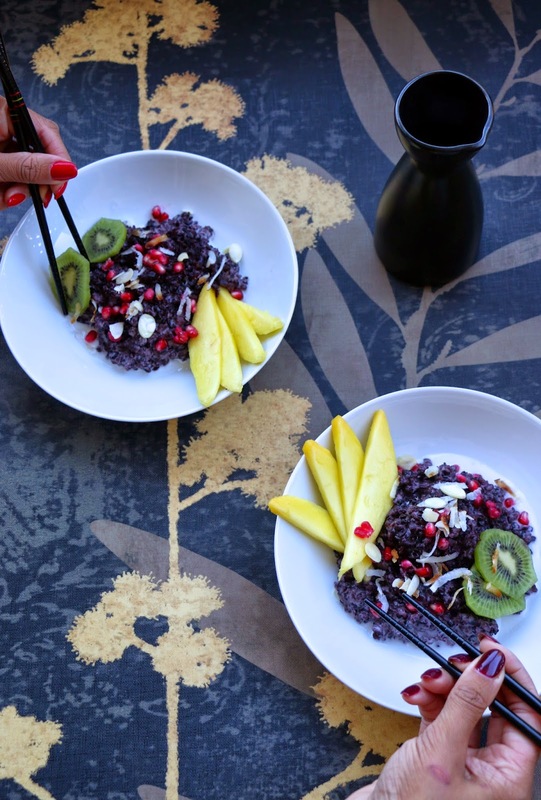 Black rice is a nutrition powerhouse, packed with antioxidants which makes it even healthier than brown rice. I've become a coconut fiend lately. I had some leftover black rice from dinner so decided to make it into something sweet; a creamy, Thai-style, warm coconut rice topped with fresh fruit & shredded coconut. It's dairy-free & gluten-free, making it a delicious dessert or even breakfast. Slice mango & kiwi into thin slices. Remove the pomegranate seeds from 1/4 pomegranate. In a pan, add coconut milk & stevia sugar. Bring to a simmer & add cooked black rice. Mix & gently stir. 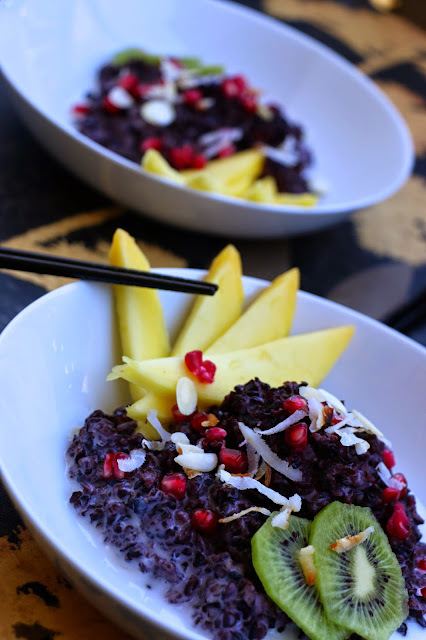 Top black coconut rice with fruits, shredded coconut, & sliced almonds. Enjoy for dessert or even as a breakfast. Add any fruit or toppings of your choice. Tip: Black rice takes a bit longer to cook than white or brown rice. You can reduce the cooking time by soaking the rice in cold water & in the refrigerator overnight.